Haircare Tips | Stylistic Inc. Whether you are interested in extensions to thicken or lengthen your hair, summer is the perfect time for a fresh new look! This summer at Stylistics, Inc. you can purchase 5 bundles of 16” hair extensions for $690.00. Choose from brands like Great Lengths, Hairdreams and Dream Catchers to create a beautiful, natural new look. Great Lengths hair extensions are made completely from human remi hair. This means that the hair cuticles are all facing the same direction, for a natural look that decreases tangling. Great Lengths extensions have never been chemically treated, colored or bleached, making them some of the highest quality extensions available. Hairdreams extensions come in three levels of quality, “5 Star,” “7 Star” and “Imperial.” Extensions are crafted completely from human hair at all levels. At the “7 Star” and “Imperial” levels, hair is sorted by strand to produce a beautiful, completely natural look. Learn more about the processes here. Dream Catchers hair extensions are high quality extensions made from 100 percent human remi hair. 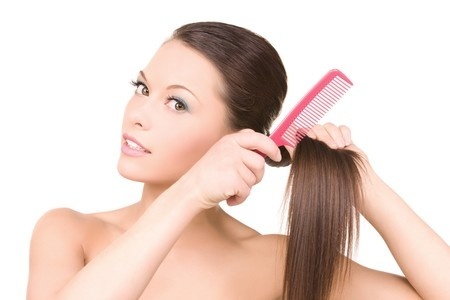 Extensions are reusable and can be used for up to two years with proper care. Regardless of the extensions you choose, follow our Tips for Caring for your Hair Extensions to keep them looking their best. Enjoy a summer with long, luscious hair courtesy of Stylistics, Inc. Call 602-234-3381 today for an appointment!